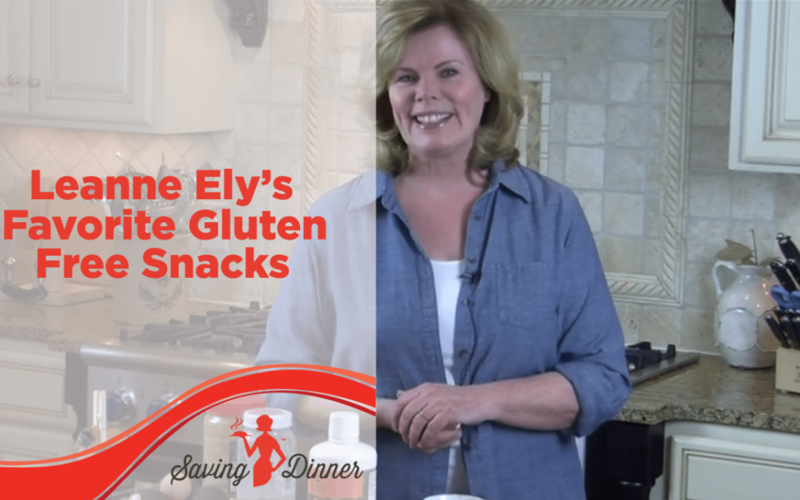 One of the questions that I get asked all the time is, “Hey, Leanne, can you help me out with some gluten-free snacks?” I love a gluten-free snack just like anyone else and my favorite go-to’s of course are apples and oranges or tangerines because you can throw it in your purse. But also, I like nuts, a handful of nuts that is. And when I say a handful, I’m talking ten. The problem with nuts is that they are full of fat which is not a problem, but too much fat is too much fat, people, right? They also have lots of fiber and protein so they really are the quintessential great snack. You need to limit them though, because overeating is overeating and it doesn’t ever work out well. So that’s one of my favorite things. 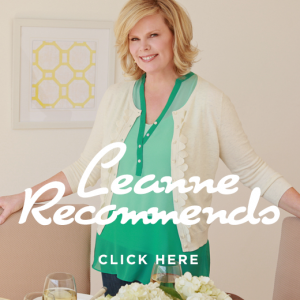 Another of my favorite things, and you can find this over on the Leanne Recommends page is Bulletproof Coffee. Bulletproof Coffee is from my friend Dave Asprey, also known as the Bulletproof executive and he has MCT oil. This is high-octane, Brain Octane Oil. And what this is is pharmaceutical grade coconut oil plus Kerrygold unsalted butter. So you take a cup of coffee, one tablespoon of the upgraded Brain Octane Oil and a tablespoon of Kerrygold Butter, you blend it in your blender and you drink it in this like a fabulous cappuccino! Seriously! And the only dairy is just a little bit from this butter and let me tell you something, this puts your brain on fire. So, if you have to work really hard or you’ve got a lot of things going on, this is the best coffee drink that you can get. Sometimes, this is all I’ll have for breakfast. I’ll have a couple cups of this and I’ll just be going like crazy. That fat is amazing. The other thing I like is celery and almond butter. I think it’s just fantastic and eat it all the time. I love hard-boiled eggs. I mean, again, if you stick it in a Ziploc bag and throw it in your purse, you can take it with you. Avocados are fabulous. One of the things that I like to do with an avocado is cut it in half, put a little salt and pepper on it and a little bit of salsa right in the middle, and just spoon it out and eat it that way. It’s very satisfying and very delicious. You can also stick part of an avocado into your smoothie to make it extra creamy. You won’t taste the avocado, so you don’t have to worry about that. And if you’re wondering, “What on earth is that stuff on the counter?” It is chia seed pudding. Now chia seeds are fantastic. They are full of fiber and particularly pectin which is awesome because pectin holds toxins and pushes them out. So, you know what I’m saying… it’s the ultimate cleaner upper. It’s also full of omega-3 fatty acids so that’s brain power right there. So if you mix them up with a little coconut oil or almond milk. That is, around a quarter of a cup of chia seeds versus a cup of almond milk or coconut milk. And you shake it up, let it sit and it gels… it’s a pudding! Put some fresh raspberries on it, blueberries, whatever you want, maybe even some slivered almonds and it’s fantastic. I will have that for breakfast and I eat about a cup of this for breakfast and I’m telling you, honey, it keeps you regular. That’s what I’m saying. Also, speaking of keeping you regular, I am crazy about fermented foods – sauerkraut, pickles, good pickles, Bubbies is an awesome brand. Also this is really pretty crazy. This is kimchi. Kimchi is a Korean fermented cabbage food and this one has spicy ginger.. It’s a little bit hot but you just throw it on your plate and eat it! Fermented foods help to build the good guys inside of your gut and that’s what helps to get rid of the bloat and again, keep you regular. I’m all about keeping you regular. Anyway, so those are just a few of my favorite things that I like for snacks and I hope you give them a try and see what you think!